THIS week is one that's marked in Allan Skerman's diary for two special reasons. He will commemorate Anzac Day today as one of the few remaining Rats of Tobruk who battled in World War II. 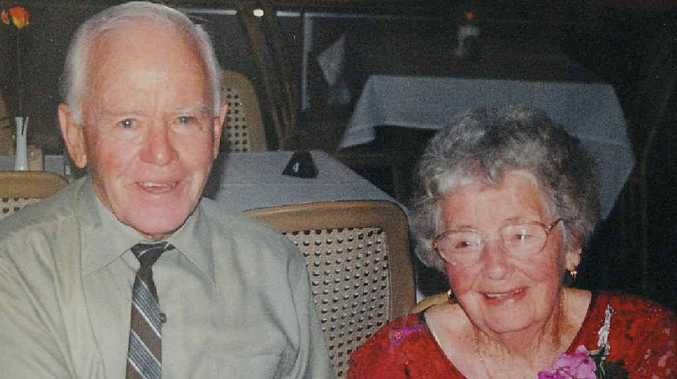 And on Sunday he will celebrate his 70th wedding anniversary with his wife, Hilda. The 95-year-old Carlyle Gardens resident was an inventory soldier from 1939 to the end of 1944. Today he reflects on his time at war but also how his and Mrs Skerman's love story began. "She worked as a sample packer in the old Morrows Biscuit Factory in Brisbane and I was a policeman at that time," Mr Skerman said. "I used to ride past her window. "I was going back to the barracks and she was waiting to get a tram home and it all went from there. "I went away to the war in the beginning of 1940. At that stage it (their relationship) wasn't solid. "I was sitting, this day, outside in this little dug-out and I was picking fleas out of my singlet." It reminded him of a time when he sat with Mrs Skerman in her parents' backyard. "I got myself some paper from the Salvation Army, proposing we get married when I got home," he said. The couple married on April 29, 1942. Mrs Skerman, 97, is in hospital due to her ill health but Mr Skerman said he would visit her on Sunday to mark their anniversary. "She's a lovely person; that's why I married her," he said. "She's one of those people who everybody likes." In his spare time Mr Skerman writes poetry and books, many of which have been published. 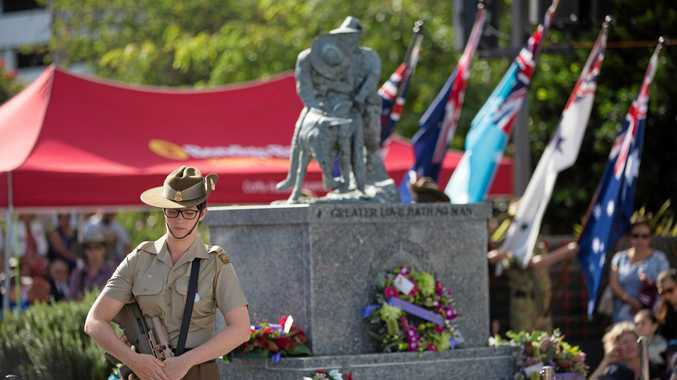 While he was unsure if he would attend an Anzac Day service today, he was proud one of this poems had been read out at the Carlise Gardens' commemorative ceremony yesterday. "I was a good soldier; I wasn't afraid of getting killed or nothing," he said.